Benefiting the Susan G. Koman Breast Cancer Foundation. Great prizes, high hand/low hand, 50/50 raffle and much more. 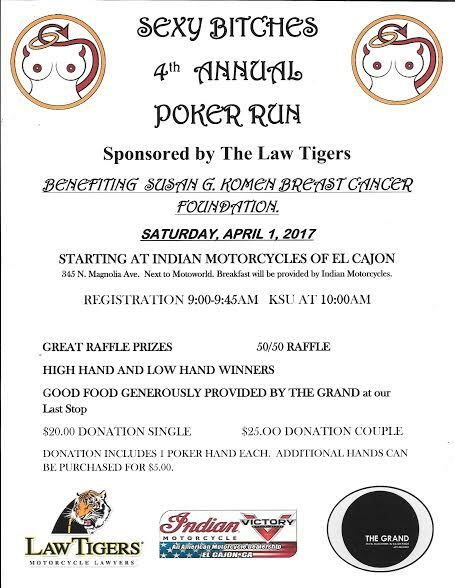 Starting at Indian Motorcycles Of El Cajon.